The growing penetration of chatbots among enterprises has raised questions around the relevance and need for mobile apps in businesses. Some industry pundits are even predicting an ‘apps free and bots only future’. Jinen Dedhia, Co-Founder and MD, DronaHQ, an enterprise mobility platform, Bots vs. Apps in conversation with dynamicCIO answers the crucial Apps Vs. Bots debate. What will enterprise mobile apps look like in the future? Enterprise mobility is merging into multi experience apps. Apps will be adaptive to the digital touch point that is being used to converse by the user. One will not have to develop apps for each digital touch point from scratch. Also, the gap between enterprise apps and consumer apps is reducing as enterprise apps will have high quality UX and will be highly personalized. Overall, enterprises will look for more conversational, Artificial Intelligence (AI) and Natural Language Processing (NLP) based apps. 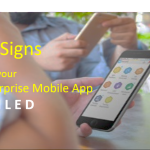 How are Artificial Intelligence and Machine Learning impacting enterprise mobile apps? Increasingly there are numerous use cases of AI and ML popping up in our solution conversations with customers. However, they are not yet mainstream. While AI & ML will be a backend service, mobile will need to connect to it to make full sense out of it. Industry experts are indicating a move towards an ‘apps-free and bots-only’ future. Even Microsoft CEO, Satya Nadella said that “Bots are the new apps”. What is your take on that? As Satya Nadella says – Bots are apps too. 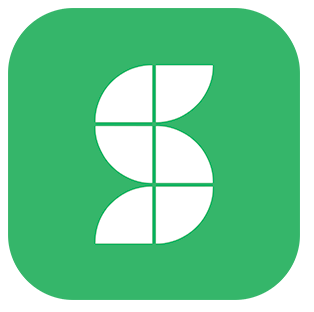 We may categorize them as a type of an app that fits self-help category kind of apps. However, there would exist multiple other cases where bots may be ineffective. Do you think that mobile apps are going to increasingly face competition from bots? Why or why not? What do you see as the future of enterprise mobile apps with the growing popularity of bots? Bots are basically apps made of combination of predictive analytics, artificial intelligence and voice assistants defining how users converse with business services and data. So as mobile apps evolve to modern apps, which can be accessed through different media be it smart phones, smart devices, tablets, desktops, chatbots, we don’t see bots as competition, in fact they are part of the family. What are your suggestions for CIOs for formulating an optimized mobile app strategy? Guidelines for a robust enterprise mobile apps strategy. CIOs who are shaping/reshaping their digital strategy must keep end users (employees, customers or extended enterprise users) as key focus and revolve around it. I firmly believe that end user adoption is the key to getting meaningful ROI out of the digital investments. Adoption would come only if the services enabled add humongous value to the end user – say like freeing 2 hours/day for a given user. The should invest in tools that can be built quickly. Even citizen developers can build/manage apps. They should also invest in CI/CD and other DevOps related tools and practices. 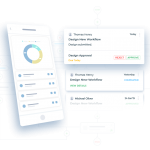 I would also suggest them to enable business teams to roll out apps that suit their needs/use-cases, rather than bringing all requirements to IT, thus avoid apps backlog and delay. What mistakes should CIOs avoid when designing their mobile app strategy? Instead of rolling out a complete strategy and waiting for IT to implement, it may be better to start small and let innovation teams adopt/digitize at speed and then pick best suitable solution for your organization. The mantra is to fail fast. Mobile no longer stands as a standalone component of the strategy. It has to be included in the overall applications portfolio with appropriate funds. 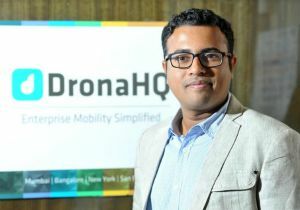 How is DronaHQ looking to help enterprises undergo digital transformation through its mobile platform? We work with multiple large scale organizations in India, including Colgate, Kotak Securities, Axis MF, Pfizer, Wipro, Future Group, Essar, Tata Motors to name a few. They have benefited in terms of productivity gains, real-time access to data, speedy fit-for-purpose apps, multi-experience apps, and cost-time savings.